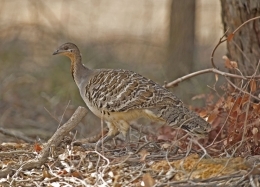 Gaia Resources was engaged in January, 2017 by the Great Victorian Desert Biodiversity Trust (GVDBT) for a project to identify survey sites for the threatened species – Leipoa ocellata, or Malleefowl, commonly also known as ‘Nganamara’ – in the Western Australian half of the Great Victorian Desert. The objective of the site selection study and surveys (to be carried out in early 2018) is to test a set of hypotheses and to learn more about this elusive species’ habitat. Malleefowl are one of two threatened species for which the GVDBT have developed Research and Adaptive Management Plans (RAMPs). 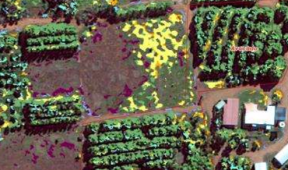 GIS Analysts at Gaia Resources sourced and analysed a set of mapping layers – including known sightings of Malleefowl habitat, Beard’s Vegetation Complexes, Fire Scars, Landsat Satellite imagery, roads and tracks. Probability (likelihood) of Malleefowl habitat was a key spatial output of the project, developed through stakeholder discussions, a workshop and GIS analysis. 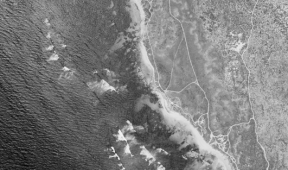 Mapping layers were processed as site selection inputs, and combined to result in a suitability map book containing areas of High, Moderate and Low probability. Our identified sites includes 100 randomly selected and stratified locations with representation of known Malleefowl mounds, high, moderate and low (inferred) suitability. To choose the sites we facilitated two workshops with stakeholders – the first focused on the technical methodology for site selection, and the second was a review of the selected sites. 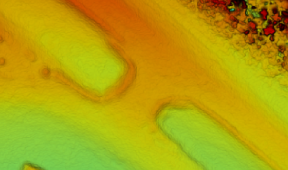 Although the results are positive and a great start for focused field surveys, they are primarily an input into the next phase of on-ground survey work, which will test the hypotheses made in the site suitability survey.